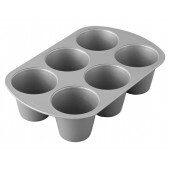 Wilton Round Checkerboard Cake Pans- Set of 3 Simple or spectacular on the outside, always surpr..
Wilton Square Checkerboard Cake Pans- Set of 3 Simple or spectacular on the outside, always surp..
Wilton Easy Layers 6" Round Cake Pans- Set of 5 Save yourself the trouble of torting your cakes t..
Wilton Easy Layers 8" Round Cake Pan- Set of 4 Save yourself the trouble of torting your cakes to..
Wilton Easy Layers 6" Square Cake Pan- Set of 4 Save yourself the trouble of torting your cakes t..
Wilton Easy Layers Loaf Cake Pans- Set of 4 Save yourself the trouble of torting your cakes to ma..
Wilton Countless Celebrations Cake Tin Set One pan, many possibilities! 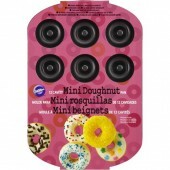 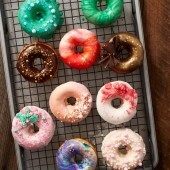 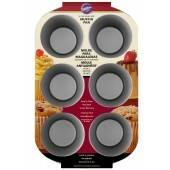 This versatile cake pa..
Wilton Non-Stick 6 Cavity Donut Pan Weekend mornings at home just got a whole lot sweeter when yo..
Wilton Non-Stick 12 Cavity Mini Donut Pan Weekends are for doughnuts when you've got this handy ..
Wilton Non-Stick 12 Cavity Mini Tart Pan Make individual mini tarts using this convenient non-sti..
Wilton Non-Stick King Size Muffin Tin Create extra-tall treats that make an impact at any cel..
Wilton Heart Tasty Fill Pan Create beautiful, high cakes with a surprising heart-shaped centr.. 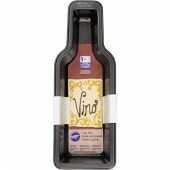 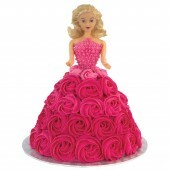 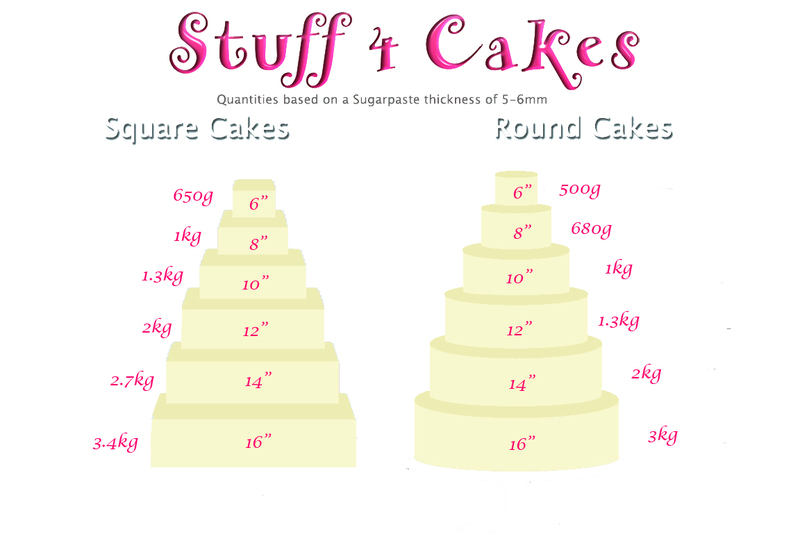 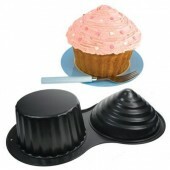 Giant Cupcake Pan This very high quality non-stick pan creates an impressive cupcake with giant p..
Wilton Bottle Cake Tin Lift your guests' spirits with a fun, iconic bottle-shaped cake. 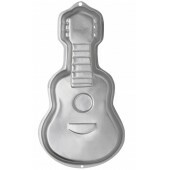 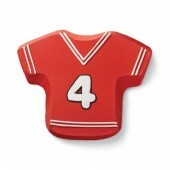 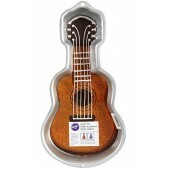 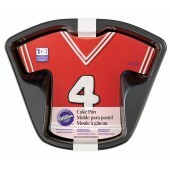 The B..
Wilton 3D Sports Ball Pan Choose your own sporting passion, then use this four-piece set to creat..
Wilton Guitar Cake Pan Whether your musical choice is classical or pure rock 'n roll, a guitar ca..
Wilton T-Shirt Cake Pan Celebrate a big win on the field or off the court with the T-Shirt-Shaped..
Wilton Wonder Mould Tin Creates an elegant 3-D shape for decorating fabulous dress designs. 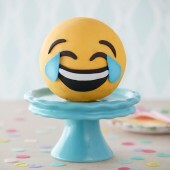 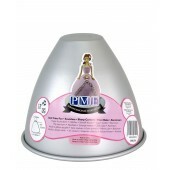 T..
Pme Small Doll Pan 5.4"
Pme Large Doll Pan 7.2"
Pme Small Ball Pan 4"
Pme Small Ball Pan Bake the perfect seamless ball cake with this PME ball pan! 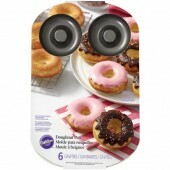 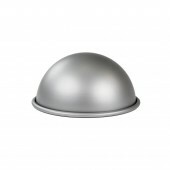 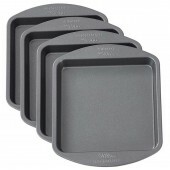 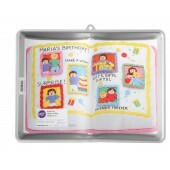 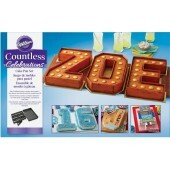 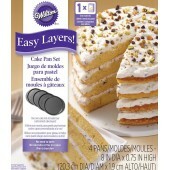 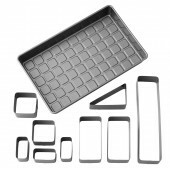 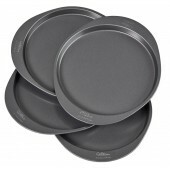 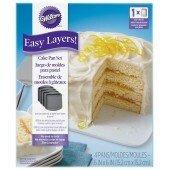 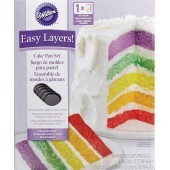 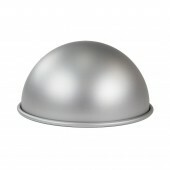 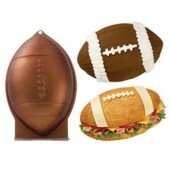 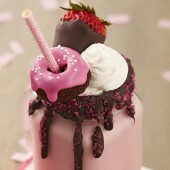 A must have sha..
Pme Medium Ball Pan 6"
Pme Medium Ball Pan Bake the perfect seamless ball cake with this PME ball pan! 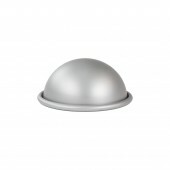 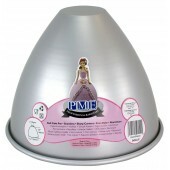 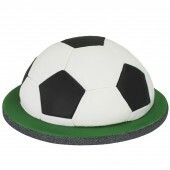 A must have sh..
Pme Large Ball Pan 8"
Pme Large Ball Pan Bake the perfect seamless ball cake with this PME ball pan! 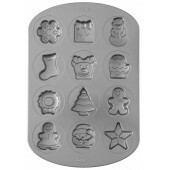 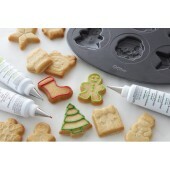 A must have sha..
Wilton Non-Stick Christmas Tree Cake Tin The Christmas Tree Cake Tin makes it easy to bake and de..
Wilton Teddy Bear Tin Not too big, not too small, this teddy bear cake pan is just right for cre..
Wilton Book Pan This shape serves up to 30 guests. 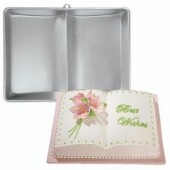 Great for graduation, baptism and other religi..
Wilton Cross Baking Tin Make a lovely cross shaped cake with this baking cake tin by Wilton, perf..
Wilton Silicone Bunny Mould Lots of sweet little bunnies will be hopping down the Easter trail wh..
Wilton Gingerbread Boy Baking Tin This Gingerbread Boy Cake Pan makes it easy to bake and decorat..
Wilton 12 Cavity Christmas Baking Tin This 12 shape Christmas Cake Pan makes it easy to bake and .. 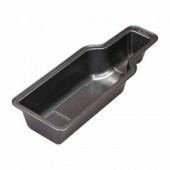 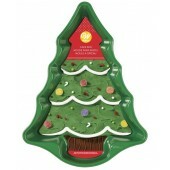 Traditional Mince Pie Pan Excellent quality 12 cup mince pie pan from Eddingtons. 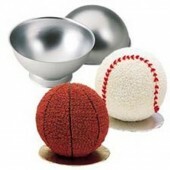 Each cup app..